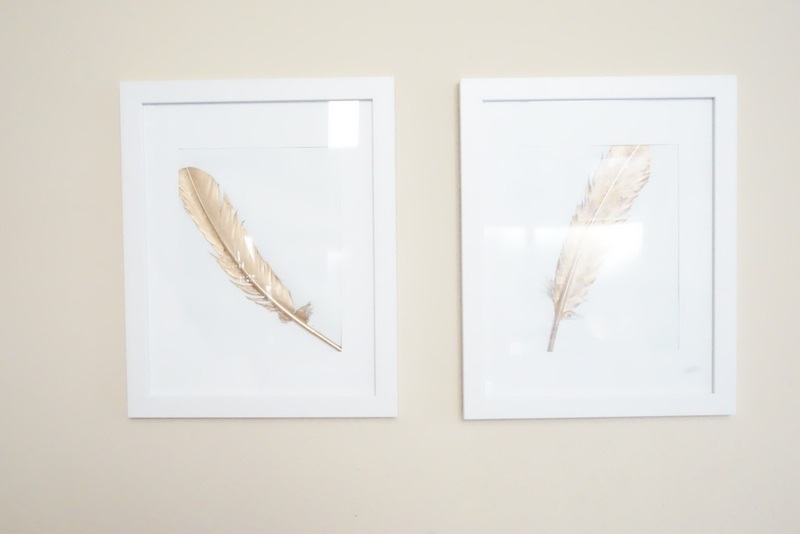 DIY Gold Feather Framed Art — THE FAUX FANCY. Ever see something that you're absolutely obsessed with and then see the price tag and immediately think that whomever decided on that price was very clearly smoking crack cocaine in its purest form? Glad we're on the same page. 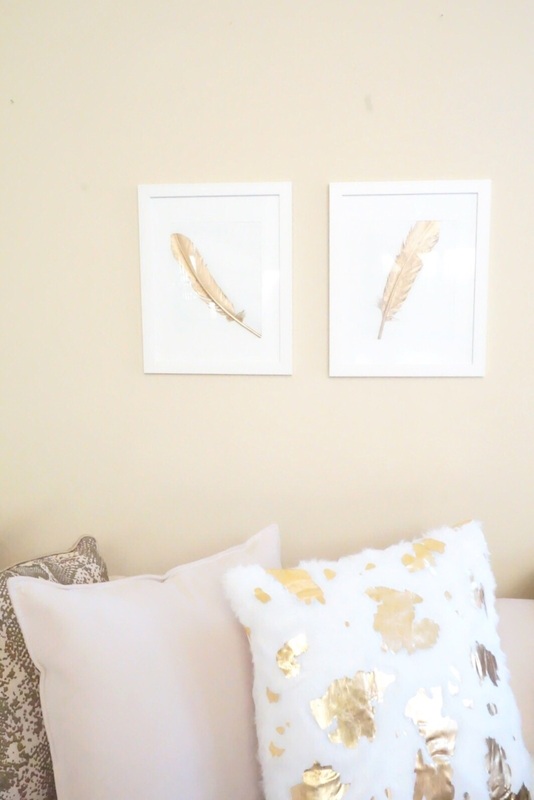 I had that very thing happen when I first laid eyes on these gold feather shadow boxes from ZGallerie. But when I saw the bigger one listed at $139.95, they got a smooth side eye coupled with a #boybye. There was no doubt I could recreate a similar concept for literally less than 5% of the cost. Although I wanted to do a shadow box, Michael's had these cute frames on sale for 70% off, so I picked up two (at $5.99 each) and decided I'd make it work. I had a pack of white feathers at home (who doesn't?) and enough gold paint to repaint every room in my house gold if I wanted. But thanks, ZGallerie for the inspo. Note: I might still try this again with a shadow box frame. Currently, Michael's has a 50% off one item coupon available, so I might be making a trip sooner than later. 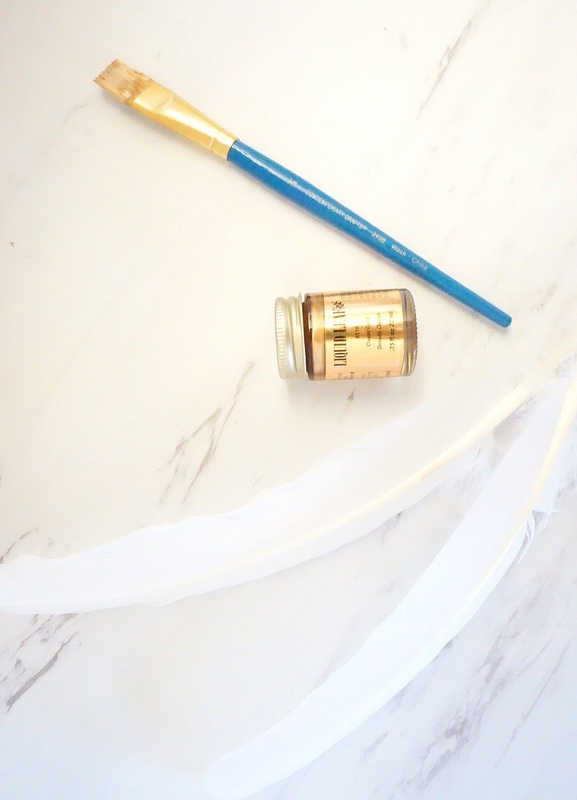 White craft feathers (mine are kind of big and I would've used smaller ones if I had them on hand. I like these). Mildly obsessed. And it's the easiest thing I've done all week. Make you some.